For nearly three decades, viewers of the (and previously Late Night with David Letterman) have been treated to a plethora of perfect puns and silly sketches. Many disappear almost as soon as they appear. And others have endured for years and years and years. Collectively they are known as recurring segments. Put simply, they are comedy bits - either a sketch, routine or gag - that the talk show and host returns to regularly. Johnny Carson had Carnac the Magnificent. Jay Leno loves his Headlines. David Letterman's recurring segments are legend. And many fell victim to the Letterman's shift from NBC to CBS in the 1990s. 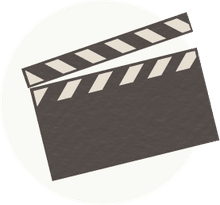 That included several skits with famed character Larry "Bud" Melman and gags like dropping various items from the roof of Letterman's office building. NBC claimed those segments as "intellectual property" and did its level best to make sure Letterman didn't use them on his new CBS talk show. To fight back, Letterman transformed several segments into something altogether new - but entirely familiar. For example, Letterman's fans loved his weekly Viewer Mail segment. During the segment, Letterman would select three letters to read aloud and respond to during the show. The answers were always a gag or one-liner, but occasionally they would transformed into elaborate segments during which Letterman might call the letter sender on the phone or fly to their home to greet them. Combating NBC's bid to quash "Viewer Mail," Letterman transformed the segment into the "CBS Mailbag" and continued on as if nothing happened. And as for Larry "Bud" Melman? The actor continued on using his real name, Calvert DeForest. Letterman's Top Ten list is a staple of the program and a brand in and of itself. The concept is simple. Based on recent news, celebrity silliness or the looming holidays, Letterman and his writing team create a funny Top Ten list, such as the "Top Ten Uses for Leftover Turkey." In recent years, Top Ten lists have had celebrity guest readers, often lampooning themselves. Also, each list is said to have been written from "the home office." Home offices have included locations like Sioux City, Iowa, and Wahoo, Nebraska. They are, of course, never true home offices of the Late Show. A personal favorite of the author, "Will It Float?" finds Letterman and his band leader/sidekick Paul Schaffer testing whether a random item will float or sink once dropped into a tank of water. Friendly wagers are taken, the audience is quizzed and then two models, nicknamed "The Hi-Ho Girls" toss the item in the tank. Meanwhile, two performance artists - a woman with a Hula Hoop and a woman with a power grinder throwing sparks into the air - bookend the tank. It's giant spectacle for something silly and mundane, a Letterman comedy staple. Rumor has it that the Late Show staff think the segment is terrible, but Letterman continues to breathe new life into the skit for his own amusement. You can do that after nearly 30 years in the business. Not unlike Leno's Headlines segment, Small Town News finds Letterman sharing funny news articles, advertisements and headlines. The items are actual news, infused with humor via double entendre and parallel humor. For purists, Small Town News debuted before Leno's Headlines - at least according to Letterman. One of the more popular segments featuring one of Letterman's most popular "found" celebrities, Hello Deli owner Rupert Jee, features unsuspecting deli passersby competing in quiz games inside the studio's neighboring Hello Deli. Games include "Beat the Clock" and "What's on the iPod." It doesn't matter whether the contestant wins or loses - he or she is always awarded a "Hello Deli Platter." Another segment which has garnered its own brand, Stupid Pet Tricks is a carryover from Letterman's Late Night program. Pet owners are invited to showcase the funny, odd and unusual tricks their pets can perform. A spin-off, Stupid Human Tricks, showcases humans performing their own brand of unusual tricks. 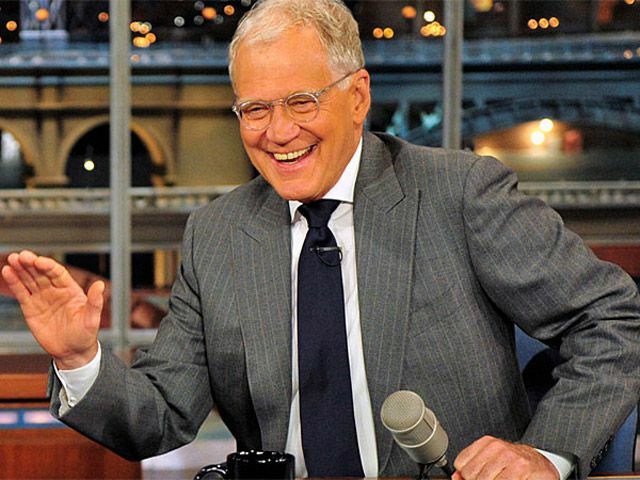 For both, Letterman delivers the trademark phrase, "Remember, this is not a competition, it is only an exhibition - please, no wagering."